They say true beauty come from within. That’s why, when it comes to hair, what you put into your body dictates how healthy, strong, and good-looking your locks will be. 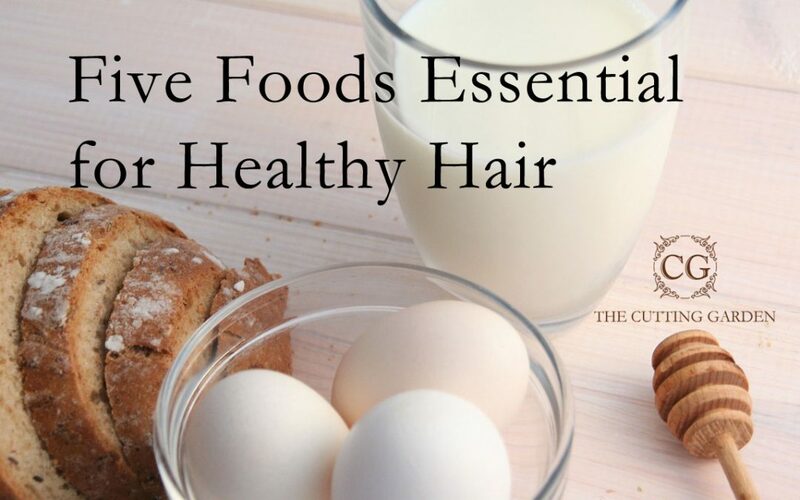 We’ve put together this essential go-to list of foods to keep your hair healthy and happy. Read on, to discover the tasty way to healthy hair. It’s always a good idea to get your day off to a good start, and your mum will tell you that the best way to do that is with an egg. We don’t care if you boil, poach, scramble, or microwave them but eggs are a wonderful source of biotin, a B vitamin which keeps hair strong by encouraging new cell growth. Plus, hair is made of protein and guess what eggs are a great source of? You guessed it. Mixed nuts, fish, and Swiss chard are also good for your hair. It’s not just Tony Stark who is fond of iron. Your hair loves it too. If you want big strong hair, feed it iron. Iron-rich foods include potatoes (keep the skin on), sunflower seeds, lentils, peanuts, oysters (any excuse for a romantic meal! ), tofu, molasses, flaxseed, beef, chicken, shrimp, and trout. Unless you work as a metal trader, zinc isn’t something that comes up in conversation very often. It’s time to change that because zinc is essential for healthy hair. Zinc can help prevent hair loss, so it’s an essential element to include in your healthy hair diet. Foods high in zinc include: almonds, walnuts, salmon, cashews, oysters, and pecans. Earlier on I mentioned how important protein is for your hair. Equally important is calcium because it aids in encouraging hair growth. Calcium is also good for your heart, muscles and nerves. Some studies even suggest that calcium may have more benefits than just bone health; calcium may help protect against cancer, diabetes and high blood pressure. Foods rich with calcium include milk, yogurt, cheese, broccoli, sesame seeds, and spinach. Good news: these foods also contain protein, which helps prevent brittle hair. Selenium is a trace mineral that is essential for good hair health. It works in conjunction with vitamin E as a powerful anti-oxidant. The selenium in your body also helps iodine regulate your metabolism and selenium helps recycle vitamin C and protects your cells. Selenium boosts hair growth and helps reduce dandruff. Selenium can also eliminate a scalp condition known as Malassezia. Selenium is included in many anti-dandruff shampoos. Zinc and selenium are often advised by doctors to treat hair loss. Foods containing selenium include eggs, oats, brazil nuts, chicken, beef, pork, wheat, sunflower seeds, brown rice, turkey, soya beans, and spaghetti. Hair care can sometimes seem like a complex issue. How to take care of this style or that colour can become an issue for people. However, there is one simple thing that you can do to look after your hair, regardless of your style, cut, age or gender. Eat a sensible, healthy diet containing all the essential elements that we’ve identified here and you’re always going to be doing the right thing. At the Cutting Garden we promote healthy hair, healthy lifestyles and above all we love to help you to be as happy with your hairstyle as possible. Eating right will definitely give you a head start. All of the stylists at The Cutting Garden love to help you look after your hair. You can book your next appointment with us right now.